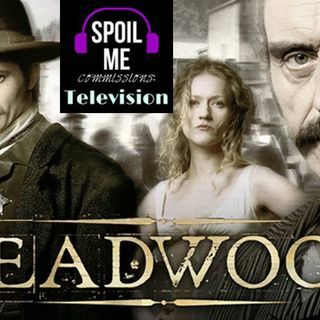 There is so much Deadwood to post, and I'm really excited to specifically get past this episode because this one was probably my least favorite of the season. It wasn't terrible, it's just that the con-artist subplot wraps up really abruptly and according to Patrick (who generously commissioned this episode) it was supposed to have gone on for longer and there were some actor issues that caused it to be cut short. Of course, there are other things that are great about this ... See More episode. For example, the absolute heartbreaking reality of Trixie's situation is really summarized eloquently in her storyline involving the Widow Garret. I absolutely adore the Doc, and I get a better understanding of exactly why Trixie was so deeply offended at Mrs. Garret's original offer. This show is so great, I can't wait to share more!